The uniqueness of many maritime charities, trusts and community groups often means traditional off-the-peg charity insurance policies do not fit quite as well as they should. It is not unusual for liability wordings, for example, to exclude liabilities arising from any kind of vessel that is not self -propelled and/or under 6-foot in length. This exclusion alone would mean an organisation that enjoys the use of powered craft, dinghies, yachts and even sailboards would be exposed to loss in the event of being liable for injury or damage to a third party, or even a member. The very nature of some marine-based not-for-profits can also make sourcing adequate protection difficult as well as expensive. If you combine this with an organisation finding them restricted to dealing with a direct-to-market insurer only offering a single product barely covering a charity’s wider exposures, we have an example of an extremely poor value solution – inadequate cover in return for uncompetitive pricing. Trustees of maritime charities and clubs are likely to find the comprehensive insurance programme specific to their organisation from an independent specialist Marine Insurance broker. There are 3 distinct advantages of dealing with a specialist broker rather than a direct-to-market insurer or non-specialist intermediary. Number one: An independent specialist broker should be able to deliver all components of the bespoke insurance programme your organisation needs; not just a part of it. Number two: Your specialist provider will be able to source cover options from a panel of providers ranging from in-house facilities to the wider market. This ensures you get the right protection for your organisation; where cover is comparable between products, premium benchmarking enables your broker to recommend a cost-effective solution that maxims the value you receive from your insurances. Number Three: If you are sourcing your insurance from a direct-to-market insurer and they reject your claim, you have very little recourse other than to follow their complaints procedure and, possibly, seek assistance from the Financial Ombudsman Service. Working with a specialist broker who has an in-house claims team means that you benefit from their support in the event of a claim. What Insurance Does a Maritime Charity or Community Group Need? Like all organisations, if your trust owns buildings and/or contents, you will wish to insure them. It is possible to source a single policy that will cover your property along with some of the covers listed below. Insured perils would normally include, fire, flood, theft and accidental damage; insurance against subsidence would normally be excluded unless specifically requested and, often, in return for an additional premium. It is also possible to insure against loss of revenue that occurs as a result of damage to your trust’s property. This insurance will indemnify your organisation in respect of its legal liabilities arising from injury to third parties or damage to third party property. The important thing to remember is that you would be indemnified only for insured activities, so it is essential you fully disclose all details of what your organisation actually does, including fund-raising and social activities and that these are noted in the business description on your insurance schedule. Depending on the precise nature of your trust’s activities, a member–to-member extension to this section of your insurances should be considered. Member-to-member cover effectively extends your insurance to include liability, where requested by you, as if individual Insurance had been issued to each member of the organisation. Any involvement by your organisation with third party vessels will almost certainly mean it requires the protection provided by Yachtyard Liability. You might be a sailing or cruising club that simply allows members or visitors to moor at your premises, or you may provide wider marina/harbour services to third parties; Yachtyard Liability will provide indemnity for your legal liabilities arising from damage to third party vessels. This cover is excluded on standard Public Liability Insurance wordings so it is vital that you check the scope of your insurance or seek advice from a specialist as to your needs. If your organisation has employees it is required by law to own Employers Liability Insurance. Your club or trust can be fined up to £2,500 for every day it is without Employers Liability Insurance and, if organisations are not able to produce their certificate of insurance when asked to do so by HSE inspectors they can be fined up to £1,000. Volunteers also need to be covered. Most insurers will look to insure your liabilities relating to volunteers under Employers liability Insurance. However, there are some insurers who will exclude volunteers under their Employers Liability section and, instead, insure liabilities arising from volunteers under Public Liability. Check your policy wording if you engage volunteer helpers to make certain where your protection sits within your programme, or seek clarification from your broker. This insurance should provide trustees, directors and volunteers with defence costs and damages cover where they are pursued for a wrongful act in connection with their duties. An example would be an allegation of breach of trust relating to improper investments or use of trust funds. They key point of this insurance is that without it trustees would be responsible for defending any allegation or claim against them from their private assets. The scope of cover in a trustee indemnity policy can vary significantly. As this type of insurance has developed over the years in line with changing legislation, many policies now contain extensions that are seen as essential. Employment Practices Liability, for example, will assist a trust in the event of having to defend claims such as discrimination, unfair dismissal. Cover will often include defence costs as well as some awards. Many trustee policies will also provide some form of Fidelity Insurance which will offers cover in the event of fraud by trustees. Claims or allegations made against your charity of poor or negligent advice that has resulted in your trust’s users incurring financial loss can be protected by Professional Indemnity Insurance. This insurance provides cover for legal costs in defending the claim as well as any compensation or damages awards made against the trust. It can sometimes be obtained as an extension to your trustee indemnity insurance but can also be sourced as a stand-alone policy. If your trust owns or operates vessels it is essential that you check exactly what section of your policy provides cover for such vessels and any associated liabilities. Some boat club policies will not differentiate between general property and vessels and will provide a general liability that encompasses public and marine liability risks. However, many policies will specifically exclude liabilities arising from use of vessels, particularly powered craft, under their Public Liability cover as well as excluding vessels under the property section. In these cases it is usual to find a separate marine section on a policy schedule that covers club boats, associated equipment and attaching liabilities to passengers and third parties. It is also possible to obtain a stand-alone policy to cover vessels and marine liabilities. Maritime Trusts or community groups that are involved with the restoration or building of boats should consider investing in a “Builders Risks” insurance. This cover can either be bought as an add-on to the marine section of a “combined” policy or as an independent solution. Cover will include the value of the build as well as any machinery, parts and/or materials that have been purchased for the project but not yet fitted to the hull. Cover should also include transit from the build location to the vessels point of launch for sea trials as well as during the trials. Passenger and Marine Third Party Liability Insurance should also be provided as part of this cover. 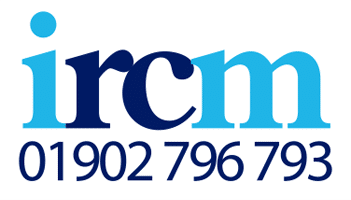 IRCM are an independent specialist Marine Insurance broker with a team including staff who have been working with marine-based charities for over 20 years. With access to exclusive in-house products as well as a wide market access, IRCM are able to source competitively priced comprehensive cover for your organisation. If you are looking for alternative arrangements to your existing programme or are a new marine-based charity, trust or community group, contact Mark Elcocks on 01902 796 793 or email markelcocks@marineinsurance-ircm.co.uk for an initial consultation.